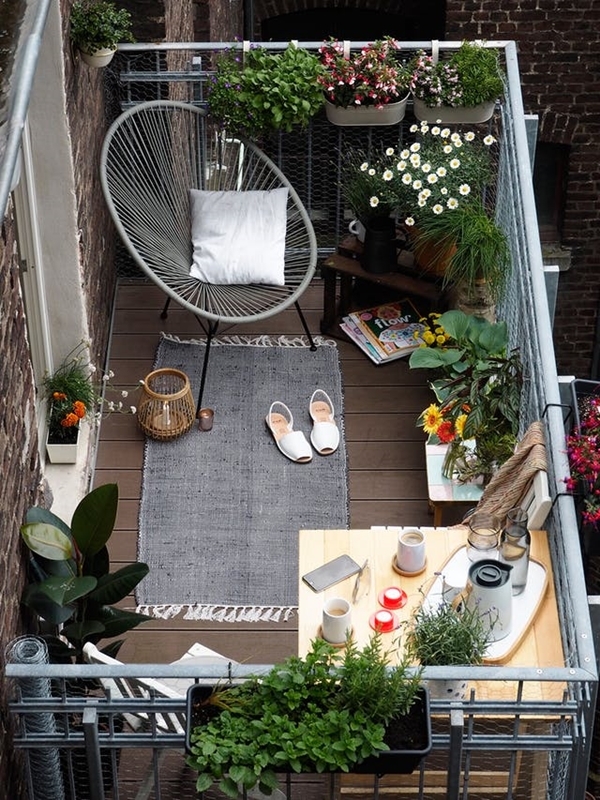 There’s just something unique and refreshing in simply sitting on your balcony with a cup full of coffee, isn’t it? In this busy life of yours, sitting there still and watching the world rushing out there. 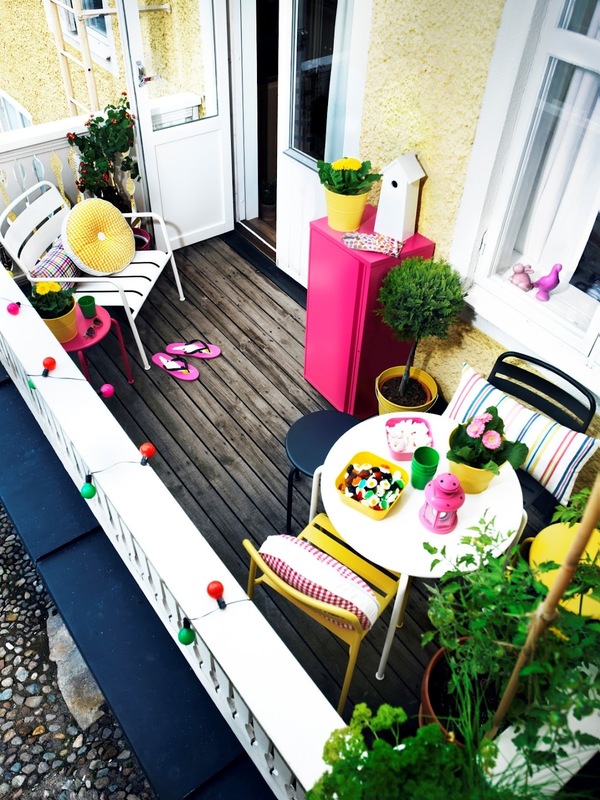 Balconies are that piece of the jigsaw puzzle without which the house is just incomplete. 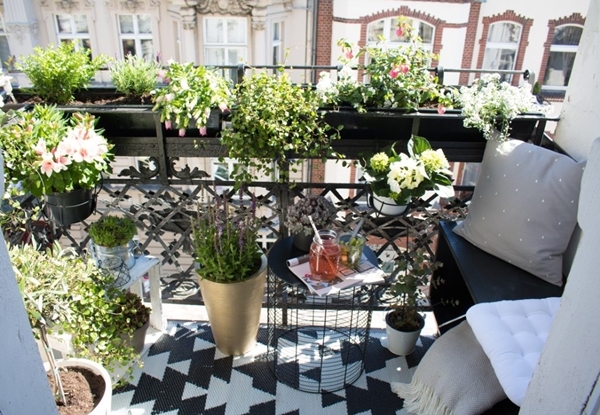 And designing a balcony is just as important as designing the interior of your home. 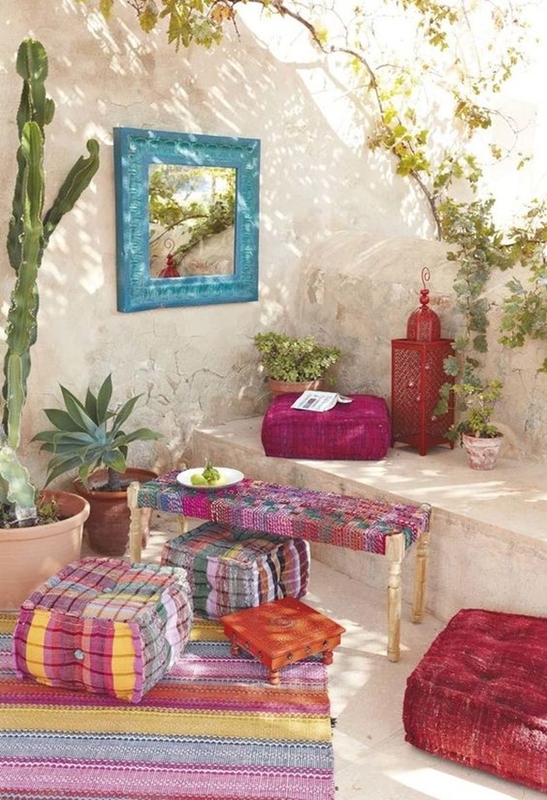 Check this out for classic ethnic home decor ideas. 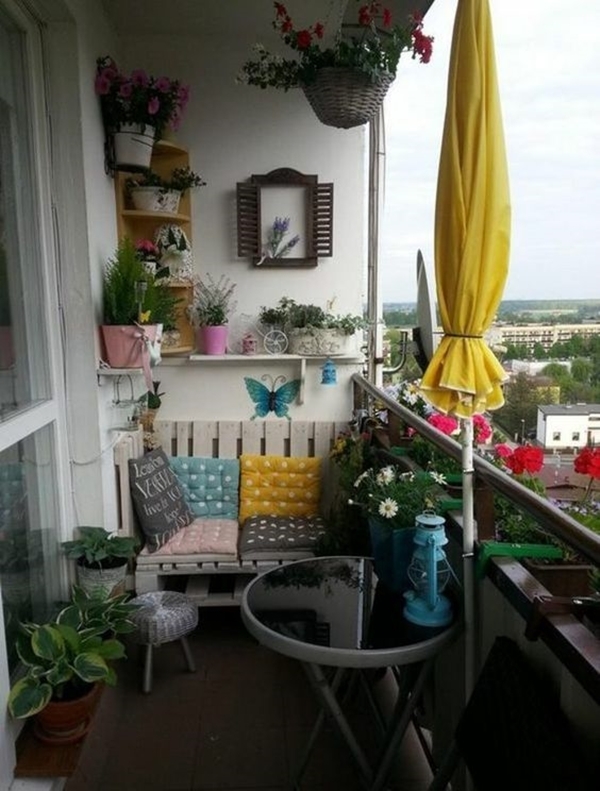 Why not go for something unique with these Vintage Balcony Designs to Add Richness to Your Home. 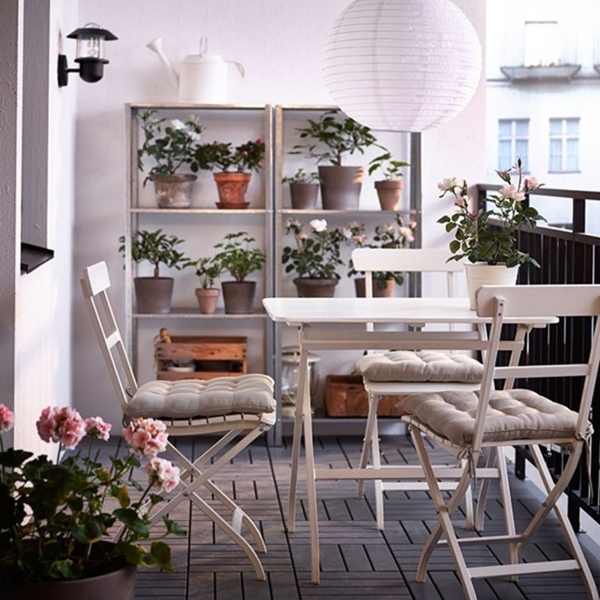 Vintage designs bring some unique aesthetic value to your balcony. 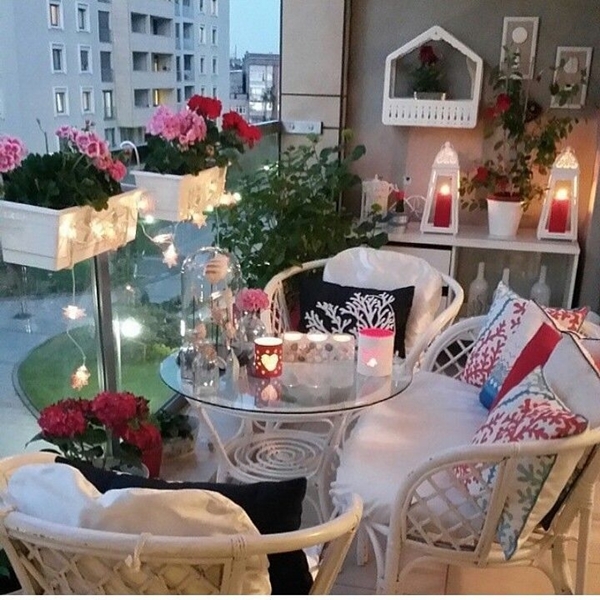 A cozy place to have a barbeque session with your friends in the summer evenings or a nice long chat in the fresh morning. 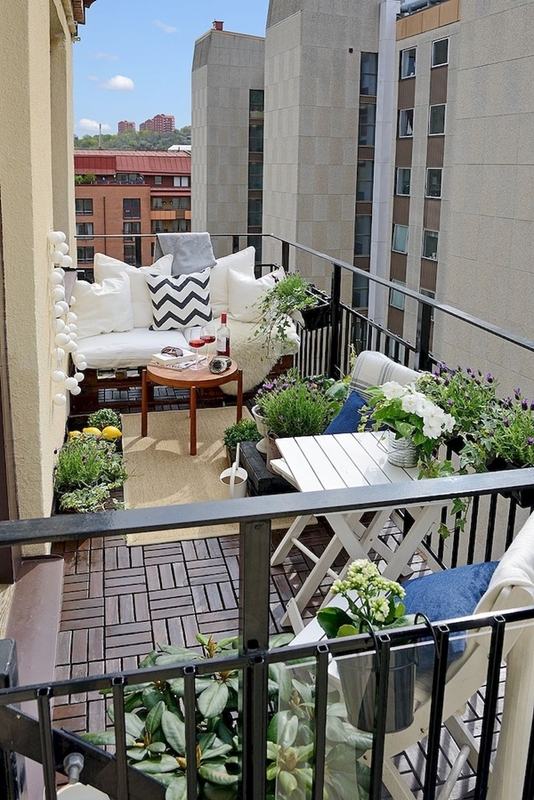 Designing a balcony should be done with a proper plan. 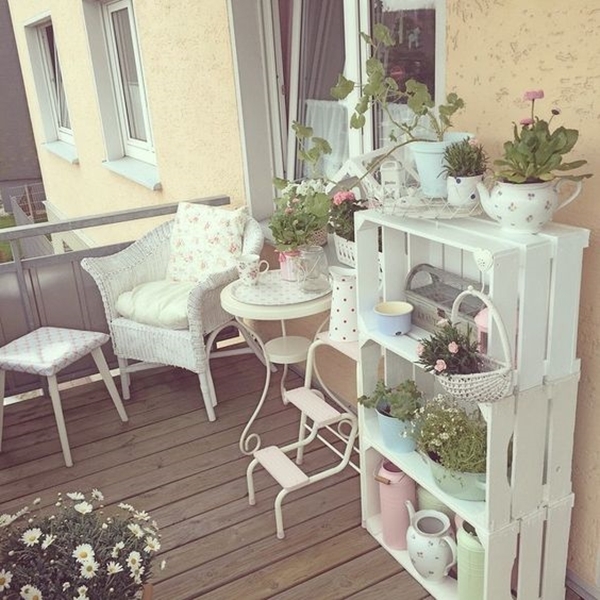 Lucky for you, with the vintage balcony you just need to get some old antique pieces to fill your balcony space. Speaking of limited space, check out these cool camper remodeling ideas to make your travel luxurious. 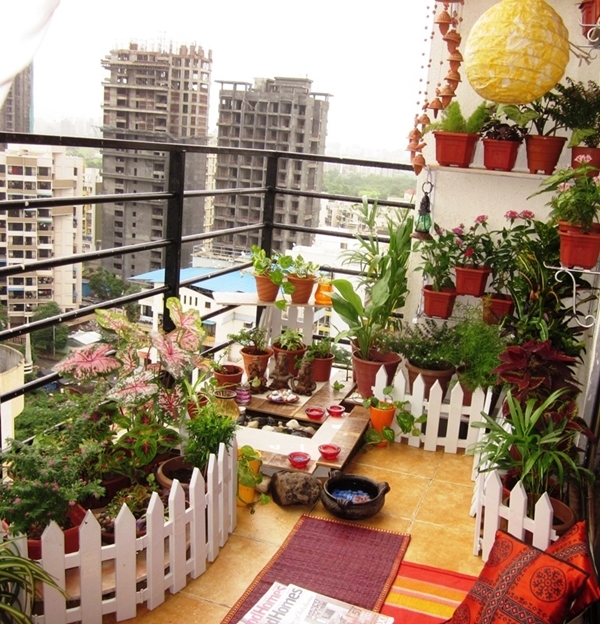 It would be the best idea for you to first make a budget before you start designing your balcony. We tend to get away when it comes to designing a space and the end result is a very beautiful space but unhappy you with a lot of hefty checks to sign. So better be prepared with a budget. And don’t get disheartened if you have a very limited budget. 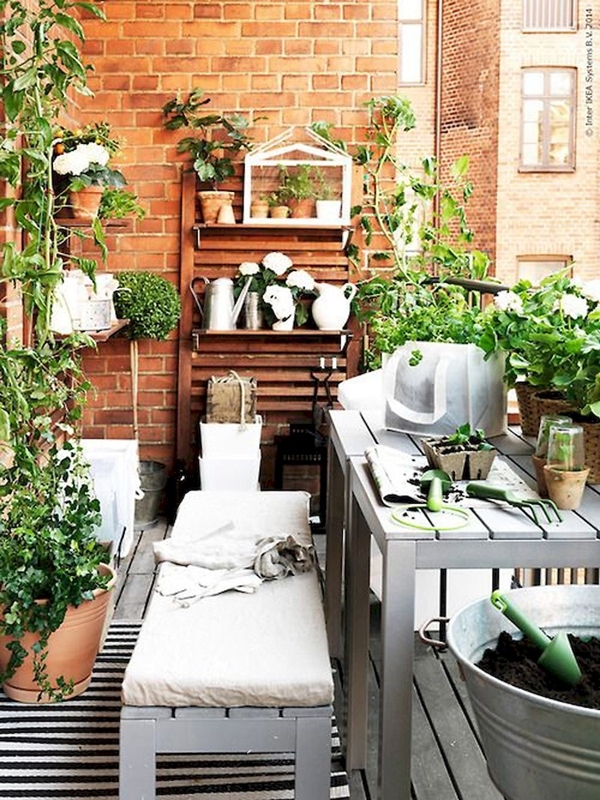 You can do so much more even with a fewer budget. 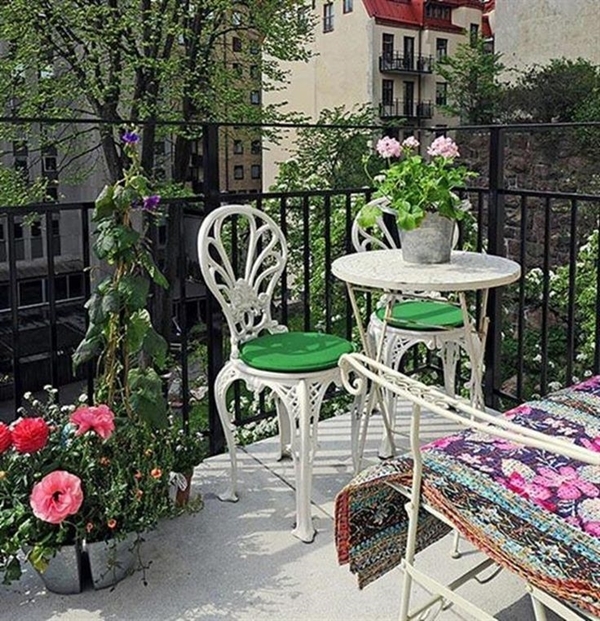 See how some stones can add flair to your balcony but won’t even affect your budget. 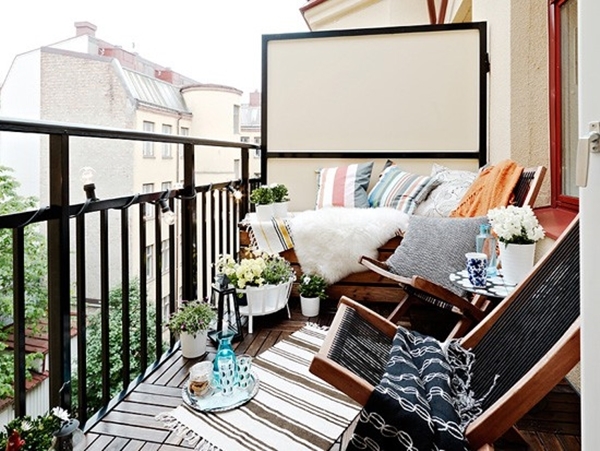 Whether it’s a small cozy space or a big one, the size of your balcony will decide how much things you can accommodate in there. 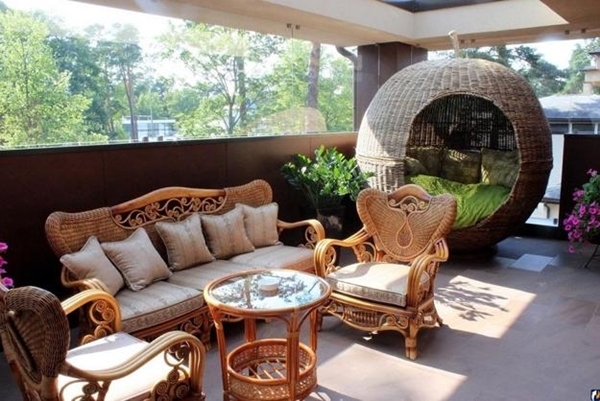 Since we are going for vintage design it is evident to fill the space with vintage furniture and décor pieces. 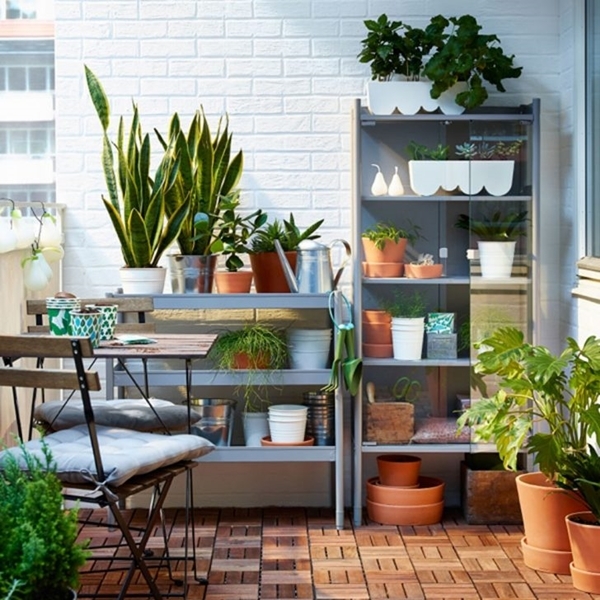 Art pieces like wall art or vintage clay pots will make a good addition to set the theme. 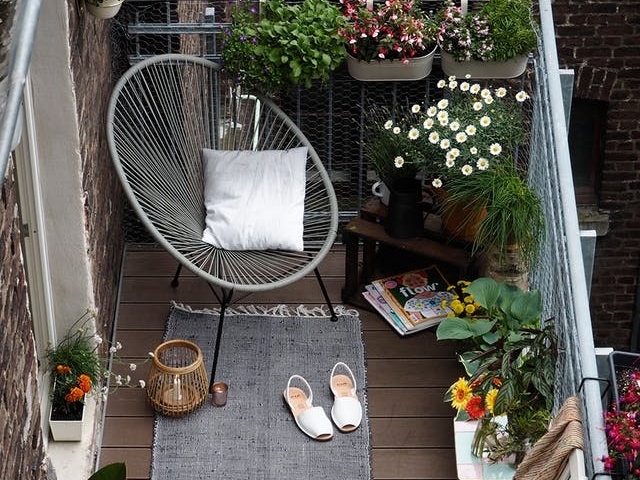 If you are lucky enough to have a big space for a balcony, you can fit in a vintage swing too. 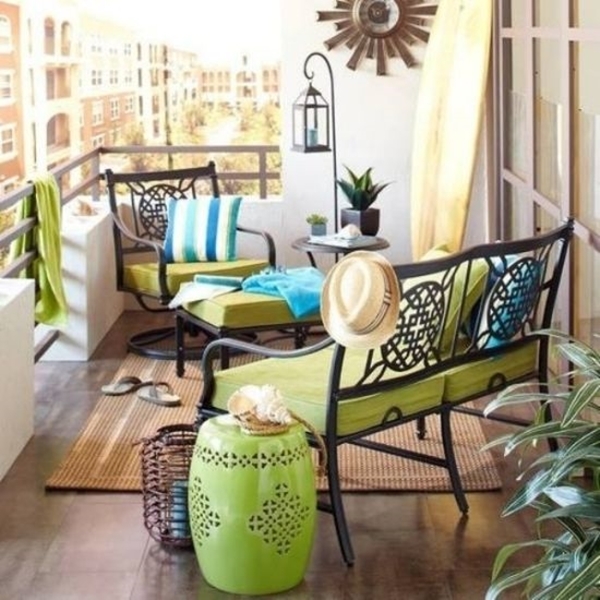 Nowadays, there is beautifully designed patio furniture available that is not just for comfort but is multifunctional as well. 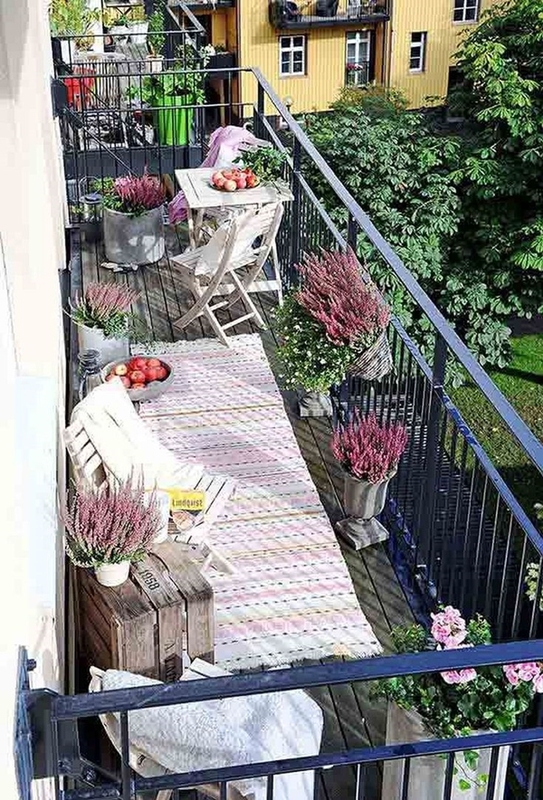 They could save a lot of your balcony space to do a lot of interesting things with it. 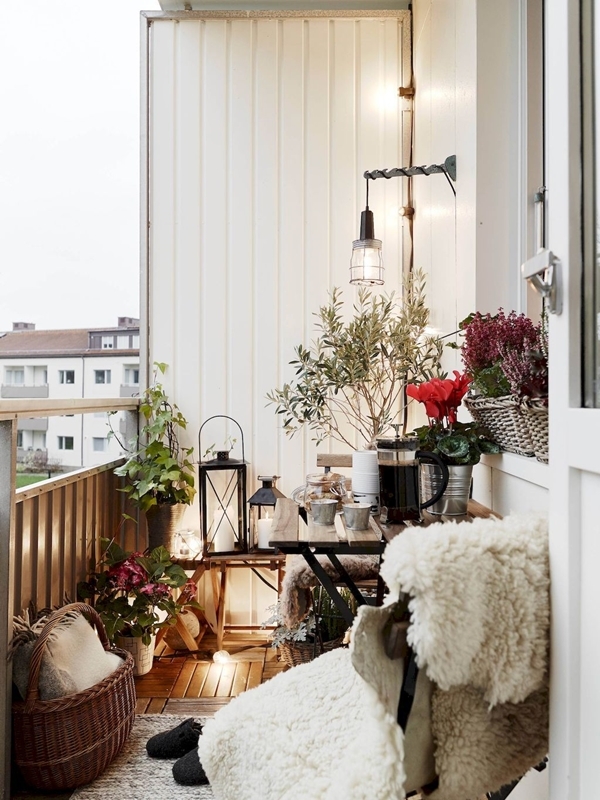 LEDs are very much in rage these days but a vintage lantern will simply add flair to your vintage themed balcony. 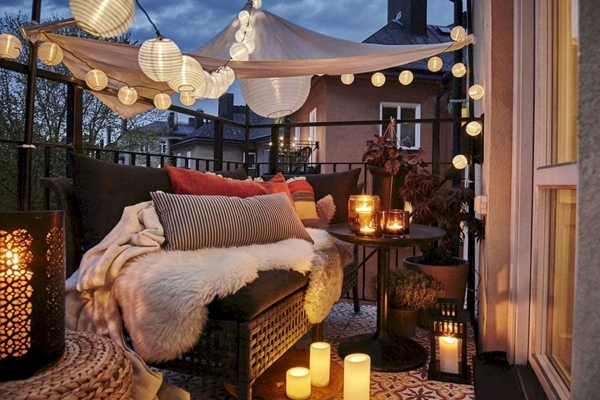 There are also solar lights that are really good and the light effect creates a romantic air. 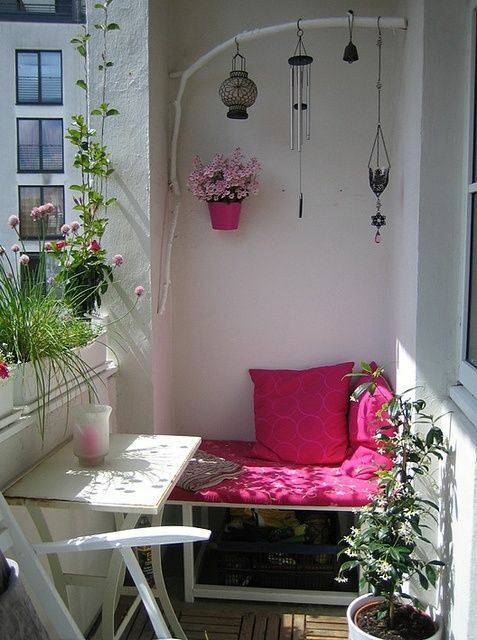 Or you could try a vintage lamp for a corner of your balcony. 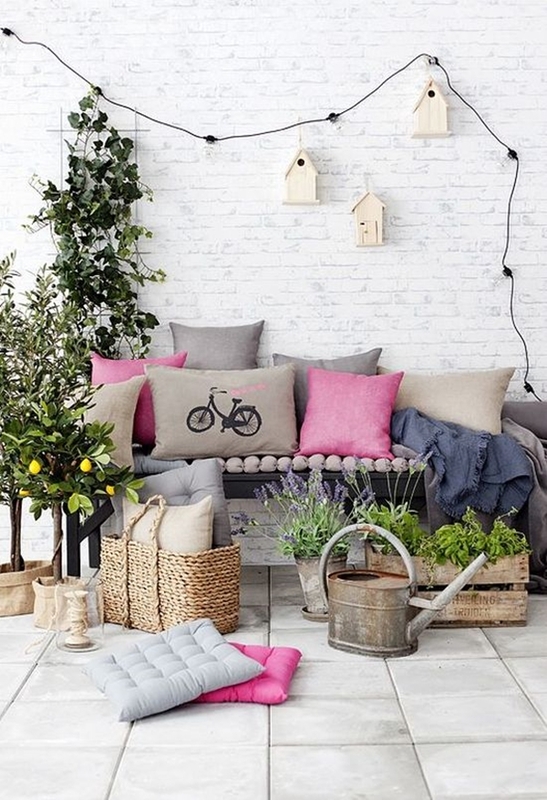 Here are some great lamp ideas to brighten up your home. Vintage centerpieces and wall arts are easily available and depending on your budget you can pick any of them. 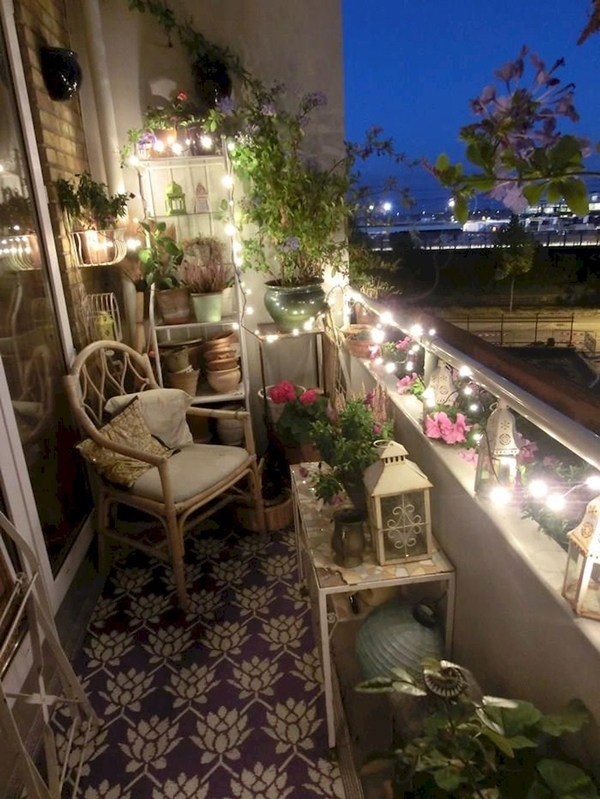 Fairy lights woven beautifully around the plants or walls make it a more charming space to retreat in the evenings. Some of the lighting stuff can be created at your own home. Check this out to learn more about them. 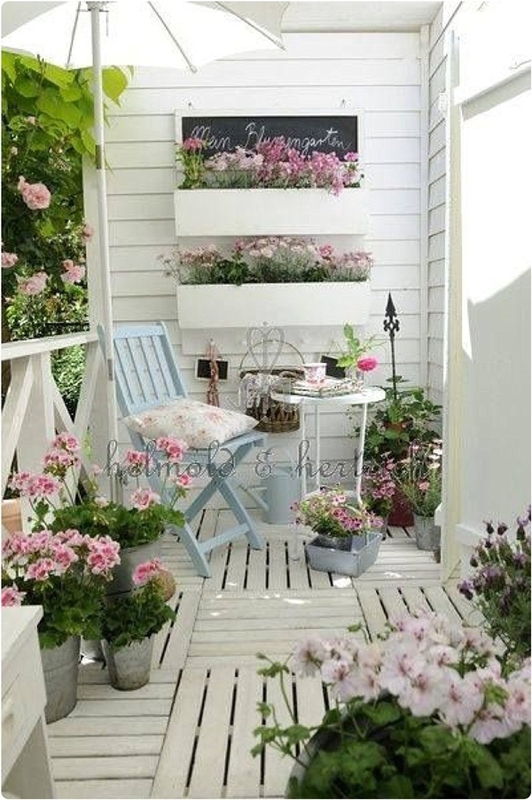 For planters, use clay pots with vintage designs in order to emphasize the theme. 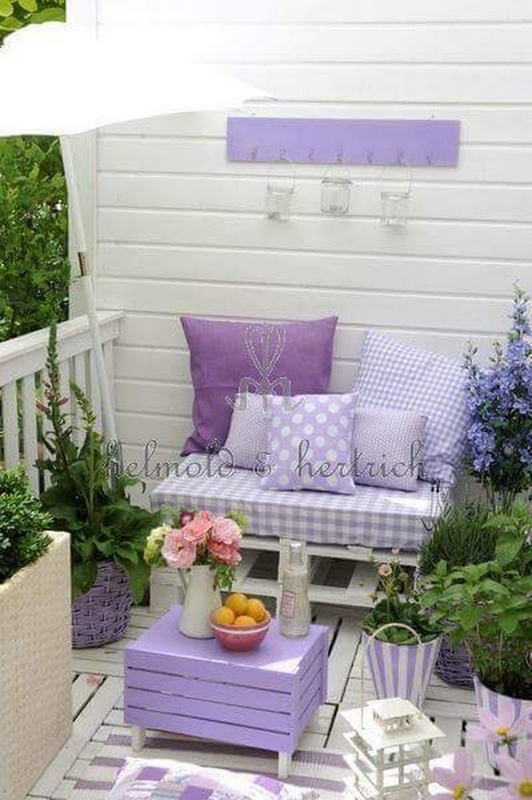 And if the budget is quite low, give them a creative touch of yours with nothing but paint. 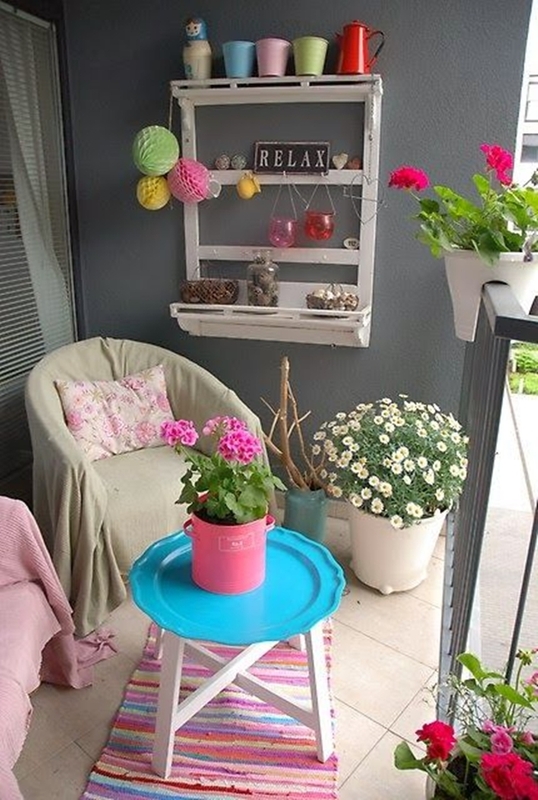 DIY things can even leave the artistic skills behind if you set your mind to it. For a small space balcony, save the space for furniture and go ahead with wall garden instead. 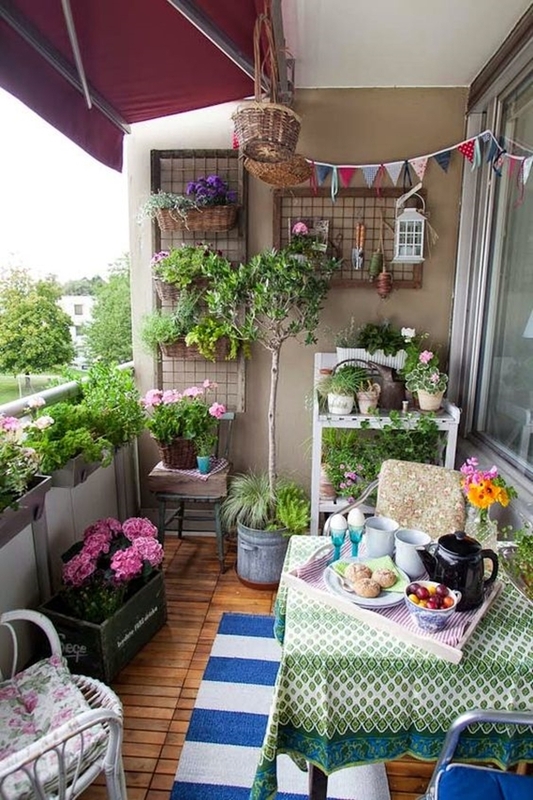 The vertical garden looks beautiful and takes far less space. 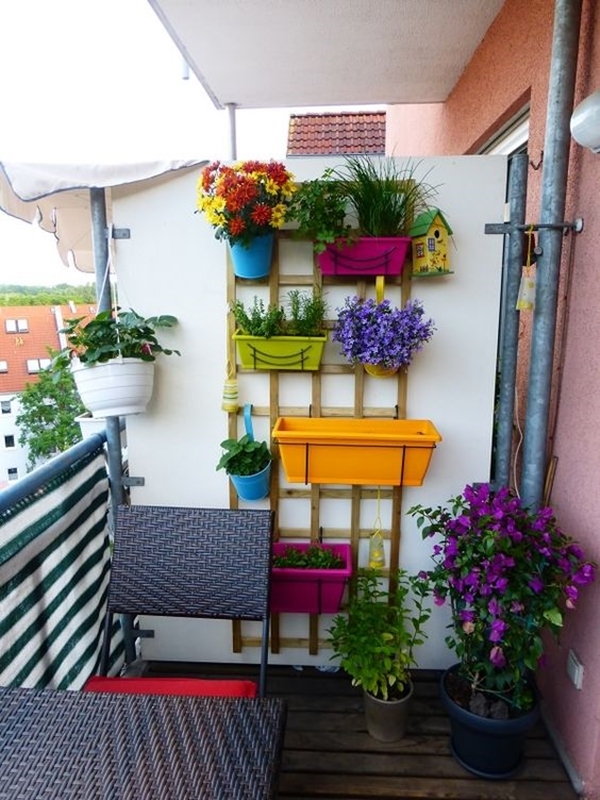 You could try hanging planters as well to save the space. 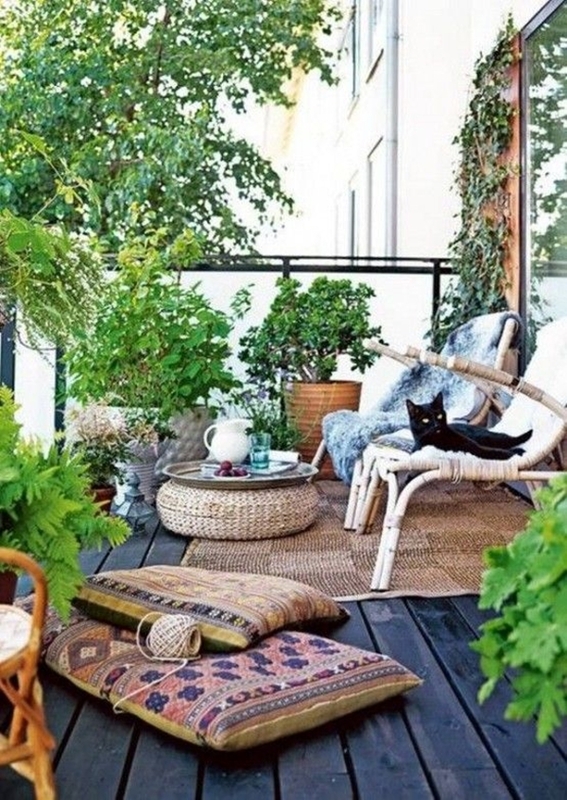 Try vases and pots in Greek amphorae shapes to add more aesthetic value. 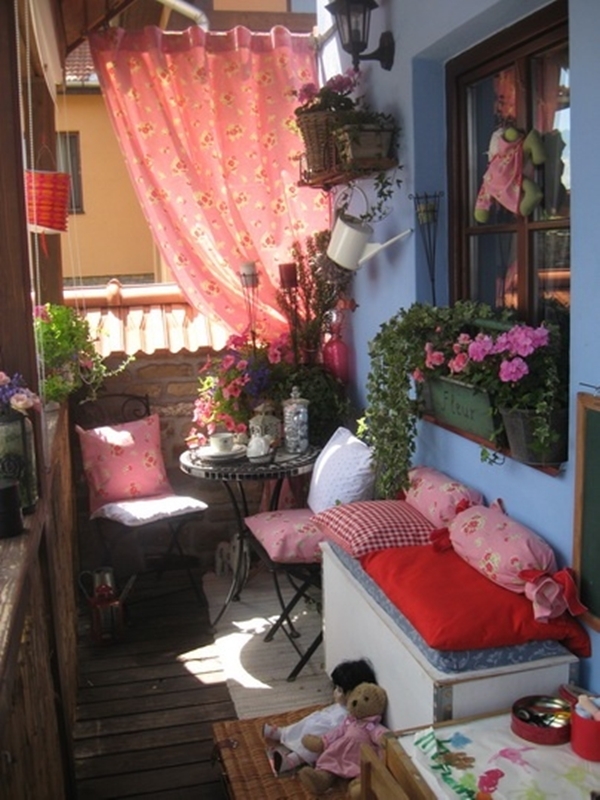 There might not be many places for soft furnishings but pillows and rugs will do enough. 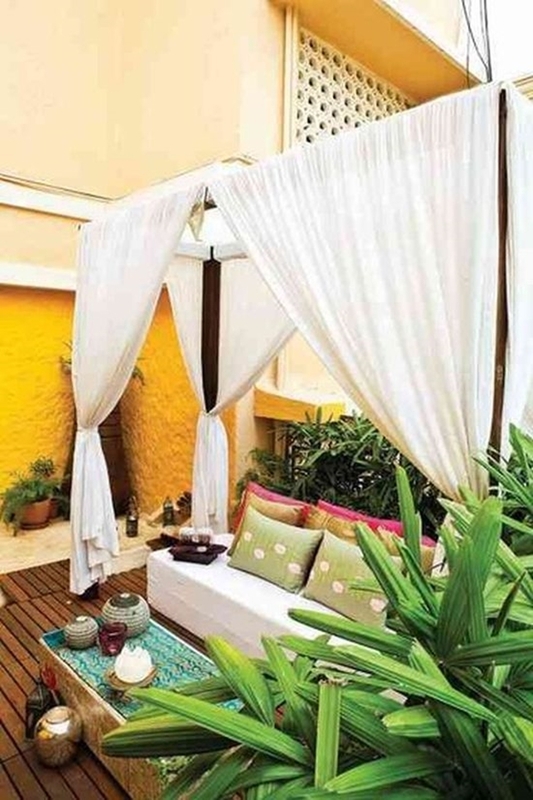 You could try drapes in pastel colors too but it totally depends on one’s preferences. 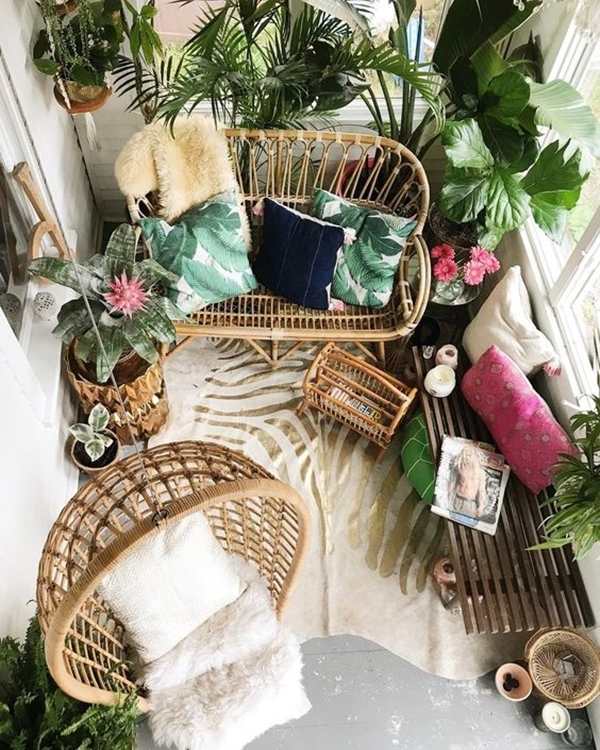 Pillows and rugs in neutral shades or vintage patterns will be great but you could try those intricate and unique bamboo mats instead of rugs. 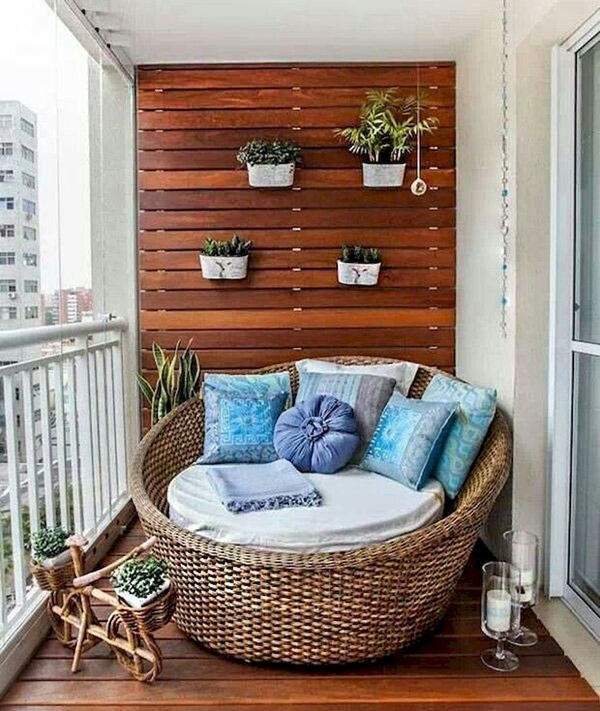 Of course, the type of furniture will decide the size and shape of pillows and cushions but whatever you pick, make sure it’s comfy and cozy enough. 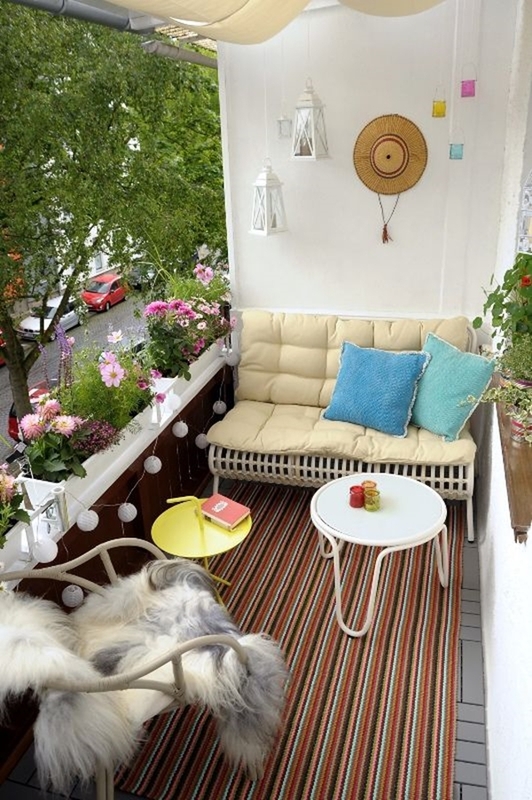 Tapestry art will be a great idea too, to create a delightful ambiance in your balcony. Here are some great art ideas to try Lace table runners will add a more delicate touch to space. 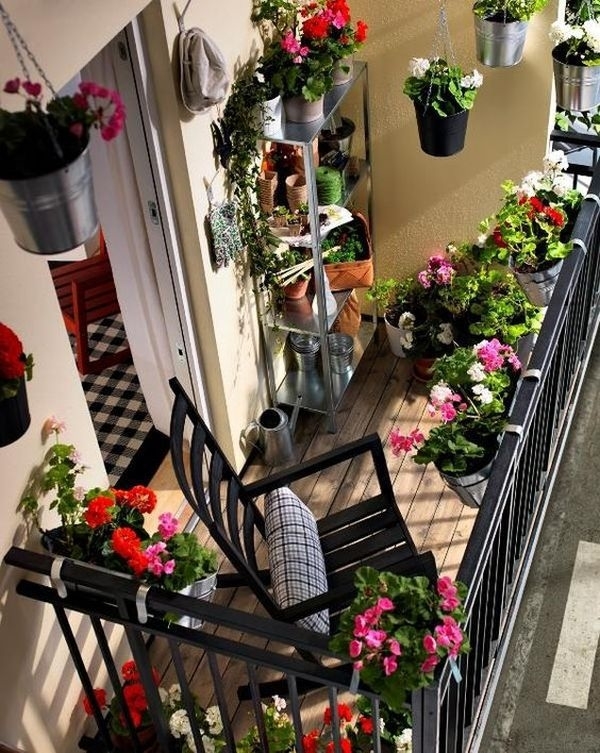 Walking into a beautiful corner every morning and evening with a light breeze that sings lullaby along with the wind chimes is a space worth having at your home. 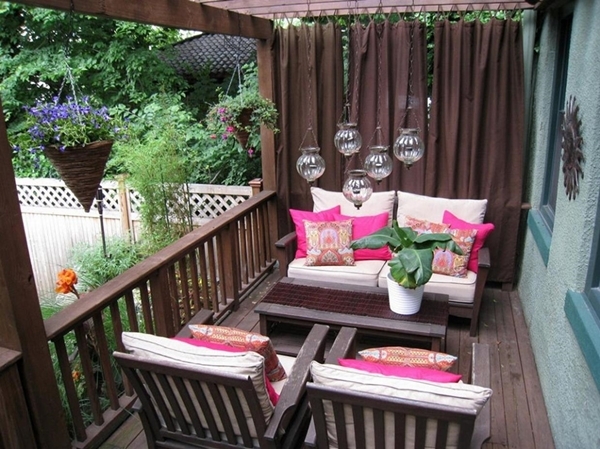 Vintage lanterns and wind charms will be the perfect fusion to try. You can make your own wind charms with tiny vintage things that are nothing but rotting somewhere in your storeroom. 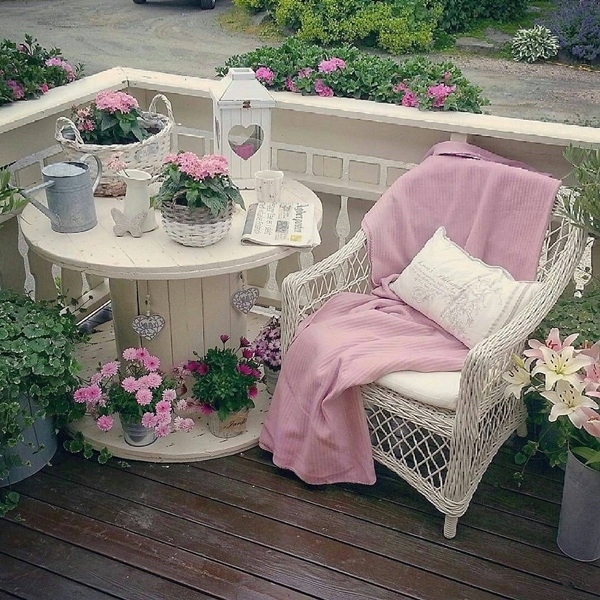 All things vintage is the perfect way to design a vintage theme balcony. 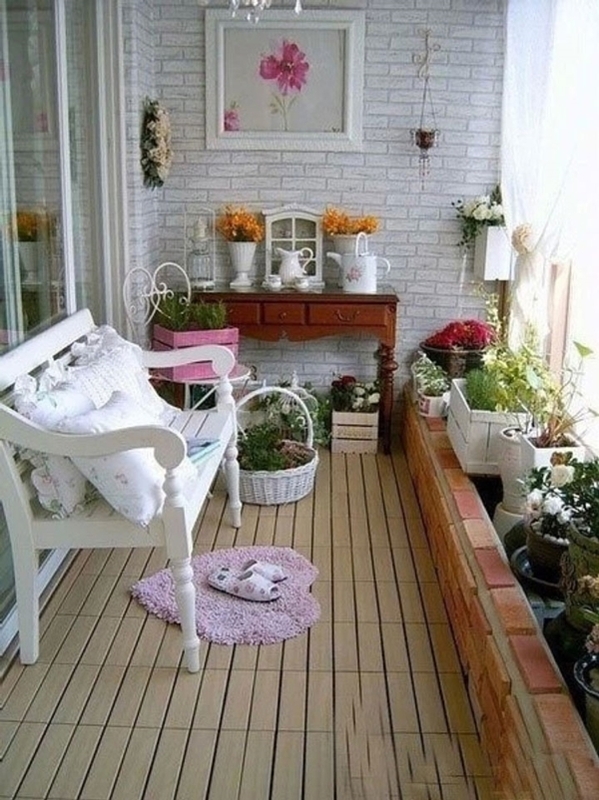 But while that’s all right, it would be far better when you add your own touch to space. It is going to be your space to retreat in the evening after a busy day. 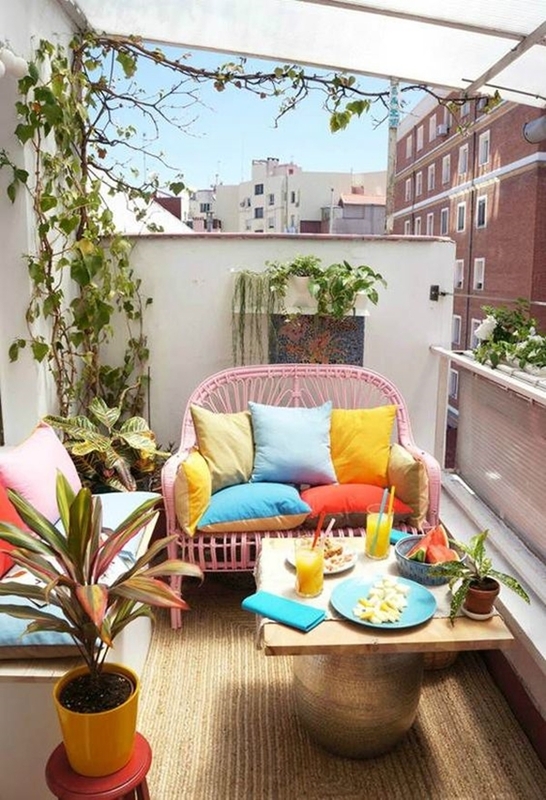 So it must be the perfect corner for you to let go all your stress and relax. 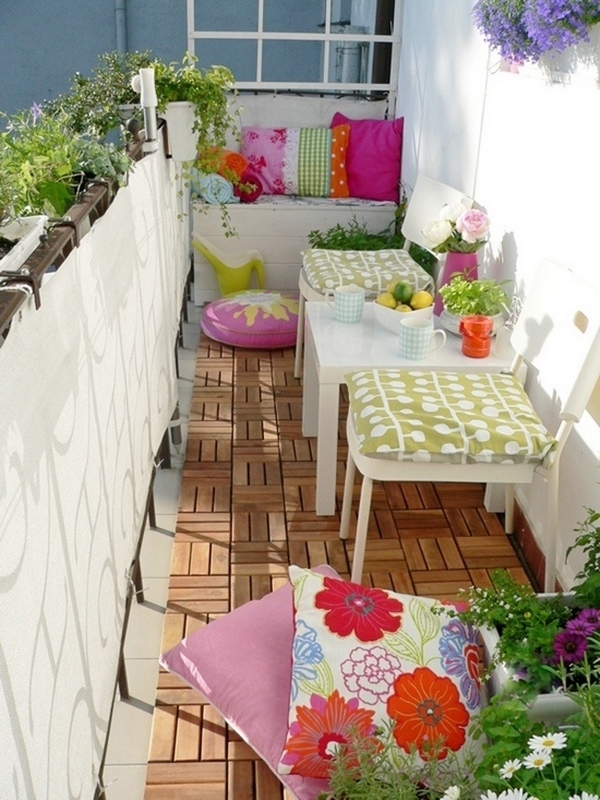 Start planning now and have fun while designing your balcony! 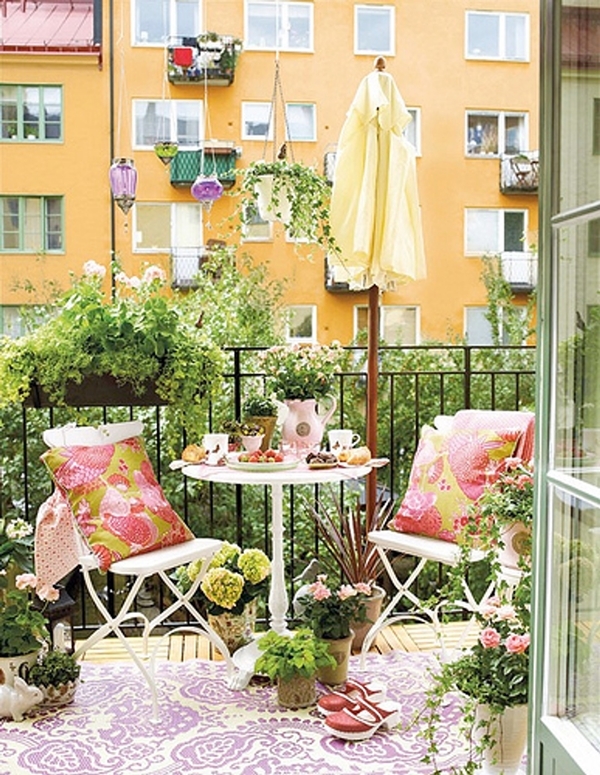 Give your home the French touch with these great ideas.